DAYTONA BEACH, Fla. – Bethune-Cookman University Men’s Basketball Head Coach Ryan Ridder is pleased to announce that Wali Parks has signed a National Letter of Intent to join the Wildcats for the 2018-19 season. Parks is a 6-6 Guard/Forward from Des Moines Area Community College that averaged 15.8 points and 6.7 rebounds last season to earn DII First Team All-Region Iowa Community College Athletic Association honors. Parks played in 31 games last season and shot 47.9% from the field and 30.2% from three. He dished out 65 assists to 54 turnovers, and was a force on the defensive end with 37 steals and 23 blocks. Parks was a consistent presence on the floor and ranked 13th in the NJCAA with an average of 33.1 minutes per-game. The rising junior also excelled in the classroom and was named a member of the Academic All-Region Second Team in the ICCAC. Parks graduated from Iowa City West High School in Iowa City, Iowa. As a senior, he averaged 12.9 points and 7.1 rebounds per-game. He was named the MVP of the Eastern Iowa All-Star game as a senior and led his team to a runner-up finish in Class 4A. Parks also was a member of the Iowa City West track and field. team. He chose BCU over offers from Nicholls State, Youngstown State, and UW-Green Bay. 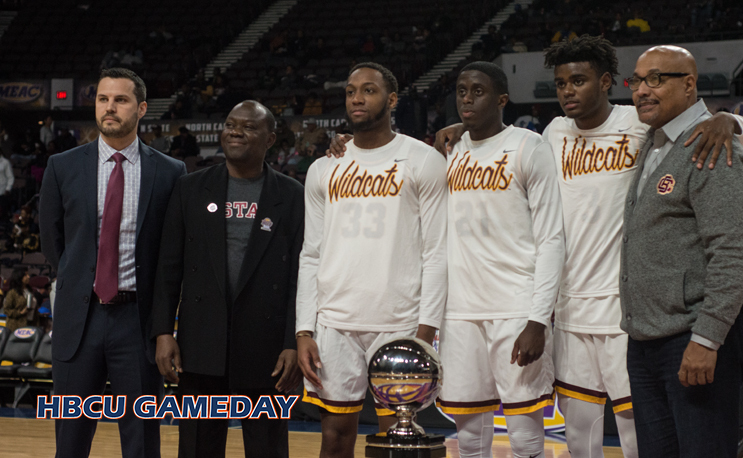 Parks joins a Wildcat team that is coming off its second-ever Mid-Eastern Athletic Conference regular season title and returns two All-MEAC honorees and the conference’s Defensive Player of the Year, Soufiyane Diakite. He joins a backcourt that already includes 6’6 guard Isaiah Bailey, one of the most dynamic players in the MEAC. Recently, Ridder was chosen as the Joe B. Hall Award for the top Division 1 first-year head coach.